On March 12, 2019, the Jerusalem Magistrate Court ruled to evict settlers from a house in the heart of downtown Hebron (in the notorious Tel Rumeida section), that the settlers have illegally occupied since 2001. The court ruling gives the settlers 45 days to vacate the house, but the settlers are able to – and expected to based on the history of this case – appeal the ruling. The Palestinian homeowners – the Bakri family – temporarily fled their home under constant settler harassment during the second intifada, a time when Tel Rumeida could be described as an “urban battlefield.” While the family was gone, settlers broke into the house, damaged it, destroyed the Bakri’s property, and ultimately took up residence there. The Bakri family has spent the past 18 years petitioning Israeli police and the courts to remove the settlers — cases the Bakri family repeatedly won. The settlers have managed to repeatedly delay their eviction by essentially exploiting every possible legal defense, no matter how absurd or contradictory. At different points over the past 18 yrs, settlers have argued in court that they had a rental agreement; that they purchased the home; that the plot of land was owned by a Jewish trust prior to 1948 and so they able to reclaim the property; and that because they had invested so much money in improving the land since taking it over, under Ottoman Law it now legally belongs to them. When at one point some years ago the courts ruled that the settlers had to evacuate, the settler occupants of the Bakri home did, indeed, leave, only to be immediately replaced by other settlers — at which point the Israeli Attorney General told the Bakri family that they had to start eviction proceedings anew. For a detailed timeline of the Bakri family’s saga, see this report from Peace Now. Edelstein also promised the audience that if the Likud does well in the upcoming elections, there will be a serious debate in the Knesset about annexing the West Bank. Haaretz reports that the Israeli Education Ministry has been contributing significant funds to a non-governmental organization that is the driving force behind illegal settler activity at the of what was formerly the Homesh settlement in the northern West Bank. Homesh was dismantled and its residents evicted by Israel in 2005, as part of the Gaza disengagement. Since then, settlers have been obsessed with the desire to re-establish Homesh, hosting religious events and protests at the site of Homesh, some of which have been attended by Israeli MKs and politicians. As part of this movement to reclaim the site and re-establish Homesh, settlers associated with the violent “hilltop youth” settler movement have repeatedly attempted to establish an outpost on the site, only to have the IDF remove them again and again. The non-governmental organization – Midreseht Ma’amakim – widely publicize its efforts to build and maintain a outpost at the Homesh settlement site, and boasts about operating a religious school there (called the “Homesh yeshiva”) for the past 12 years. According to the new report, from 2014-2017, the Israeli Education Ministry transferred more than $6 million to the NGO — nearly $2.5 million (8.5 million shekels) in 2017, $1.9 million in 2016, and $1.7 million in 2015 and in 2014. The Ministry told Haaretz that the funds were provided in support of the organization’s educational activities, not its illegal activities. Yesh Din has for years been working with leaders of the neighboring Palestinian village of Burqa in regards to the situation at the site of Homesh, built on lands owned by Palestinians and seized by Israel in 1978 for “security needs.” In 2011, Yesh Din and Palestinian landowners petitioned the Israeli government to revoke the 1978 military seizure order, which legally should at this point be moot: the IDF only used the land for approximately two years, after which settlers took over the site to establish the (civilian) Homesh settlement, which was allowed to remain and expand until it was dismantled in 2005. In 2013, Yesh Din’s petition succeeded, and the state of Israel took the unprecedented step of revoking the military seizure order. Yet, while technically the Palestinian landowners are no longer barred by Israel from accessing their own lands, de facto the area is still off limits to them, policed by violent Israeli settlers who for all intents and purposes enjoy free reign in the area. Emek Shaveh reports that one of the ongoing excavation efforts in Silwan led by the radical settler group Elad might not be able to continue, having run into the foundation of a massive wall, believed to be part of an Umayyad palace dating back to the 7th century CE. The discovery – one which serves to highlight the multiplicity of cultures, religions, and peoples who are deeply connected to Jerusalem – is not a welcome one for the settlers, whose ultimate goal is to dig a tunnel connecting settler-run tourist sites in Silwan to a settler-run tourist site in the Old City. Since the excavation project is being carried out by Elad in cooperation with (and with financing from) the Israeli Antiquities Authority (IAA), the government bureau will decided whether or not to continue the dig. According to Haaretz, the IAA is considering plans to dismantle the wall and create a large hole for tourist groups to walk through. Likewise, FMEP has previously explained how for decades Israel has used industrial zones as another tool to expand and deepen control over West Bank land and natural resources. Importantly, jobs in industrial zones – often the only jobs available for Palestinians living under an Israeli occupation that prevents the development of any normal Palestinian economy – are widely viewed by Palestinians as a double-edged sword. CCR’s filing – and accompanying videos – shines a bright light on at two stories that exemplify Palestinians’ lives under occupation, and make clear how the settlements infringe on their basic rights to property. One of the intervenors, Ziad Alwan, was born in the Palestinian village of Ein Yabroud and holds the title deed for part of the land on which the Ofra settlement was built, as registered by the Israel Land Registry. One of the settlers in the underlying lawsuit previously listed a property in the Ofra settlement on AirBnB — meaning that the settler and AirBnB were, in effect, profiting from the rental of a property located on land that rightfully belongs to Alwan, and moreover, which Alwan, despite being the rightful owner, cannot access and does not benefit from. Residents of the Palestinian village of Jalud – a second intervenor – explain how Israeli settlements and unauthorized outposts have been built on the village’s land, making 80% of their farmland inaccessible. One of the outposts that took Jalud’s land is Adei Ad, an outpost established illegally under Israeli law, which the Israeli government announced its intention to retroactively legalize. One of the settlers in the underlying case runs a bed and breakfast in the Adei Ad outpost, meaning the settler and AirBnB are profiting from a business located on the historic land of Jalud, a business which Palestinians cannot access and do not benefit from. In their claim, residents of Jalud are challenging not only the claim that Airbnb’s decision to delist the settlers’ rental property is discriminatory, but also the claim that the settlers legally own the property in the first place. On March 14th, two well-known pro-settlement legal attack groups – UK Lawyers for Israel (UKFLI) and the Lawfare Project – submitted a brief to the International Criminal Court (ICC) arguing that the court is prohibited under the Rome Statute from investigating Israeli settlements. The ICC has been conducting a preliminary investigation into the possibility of opening a war crimes probe into Israel’s settlement for the past four years. 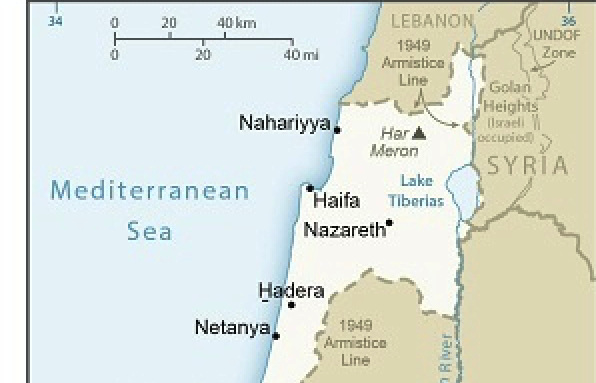 The brief argues that the Israeli High Court of Justice (HCJ) has sufficiently and genuinely investigated issues related to the settlements, making the matter inadmissible at the ICC because the Rome Statute’s regulations prohibit the court from taking on issues that national courts have adjudicated. The brief even proudly highlights the fact that Israel’s HCJ has ruled in favor of Palestinians, though as a recent report published by B’Tselem explains, the Israeli HCJ is complicit in the establishment and continuing expansion of the settlement enterprise (and therefore cannot conceivably carry out a genuine investigation of this enterprise). In the brief, the authors also announced their intention to file further information with the court challenging its jurisdiction over the matter.